With so many precious metal options available to collectors today, it might seem difficult to find that one-of-a-kind item for yourself or to give as a gift. If you think the coins, bars, and rounds aren’t diverse enough, perhaps a pyramid would be the perfect fit for your collection. 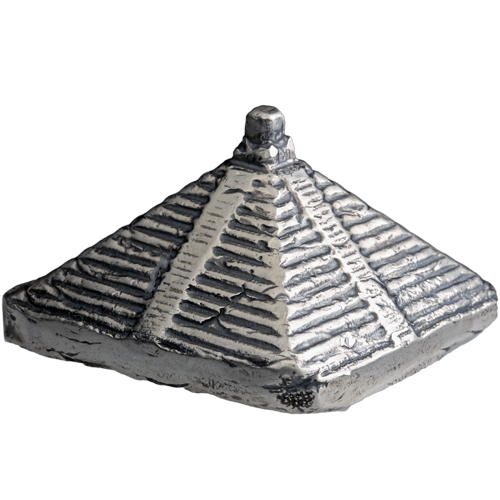 The 5 oz MK Barz Antique Silver Pyramid Statue is available right now to purchase on Silver.com. Privately produced in the United States. 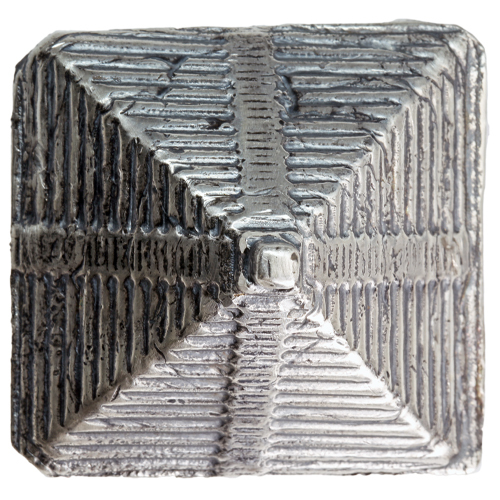 Each of these exciting 5 oz MK Barz Antique Silver Pyramid Statues is a brilliant 3D rendering of any actual pyramid inspired by real-world designs. The four sides of the pyramid rise up to a climax at the top, getting proportionally smaller as you move from base to top and featuring a stepped design. Down the middle of each side of the pyramid, there is a section of more manageable stairs that would lead a visitor up the sides of a real-life pyramid. Each product comes with no engravings on the four sides of the pyramid design. Flip the pyramid upside down, and on the underside of the base you’ll notice the MK Barz logo, along with the weight, purity, and metal content of the statue. Pyramids have been built by civilizations around the world over the course of human history, but two particular regions of the world are most readily associated with these structures. The Mayan and Aztec people of Mexico and Central America built unique pyramids of their own, many for sacrificial purposes or to chart the stars. The Ancient Egyptians are arguably the most famous pyramid builders, constructing the vast majority of their pyramids as tombs for ruling pharaohs after their death. According to most scholars, there are 118 (or 138 depending upon sources) pyramids in Egypt. The vast majority were built during the Old and Middle Kingdom periods of time. The earliest of these were built between 2630 BC and 2611 BC, some four thousand years ago. 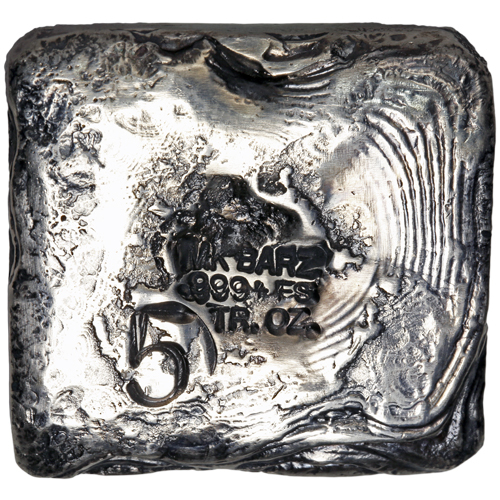 MK Barz is a private minting facility that is family-owned and operated. Opened in Los Angeles, California in 2014, today it specializes in the production of silver bullion and American coin dealing. The company’s primary owner has more than 35 years grading and collecting American coinage. We encourage all Silver.com shoppers to reach out to us with questions. You can contact our customer service team at 888-989-7223, connect with us online through our live web chat, or simply send us an email.